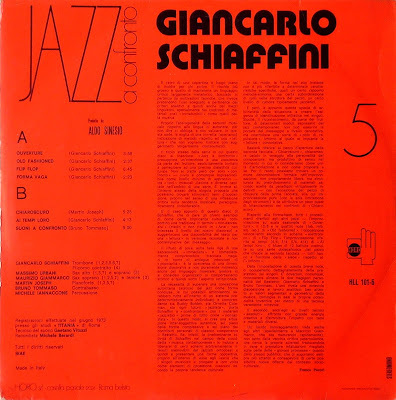 GIANCARLO SCHIAFFINI, composer-trombonist-tubist, was born in Rome in 1942 and graduated in Physics at the University of Rome in 1965. Self-taught, he appeared as soloist in the first free-jazz concerts in Italy and subsequently presented his own compositions widely in the mid 1960’s. In 1970 he studied at Darmstadt with Stockhausen, Ligeti and Globokar and formed the contemporary chamber ensemble Nuove Forme Sonore. He also worked with Franco Evangelisti in 1972 and has since collaborated with the Gruppo di Improvvisazione di Nuova consonanza until 1983. 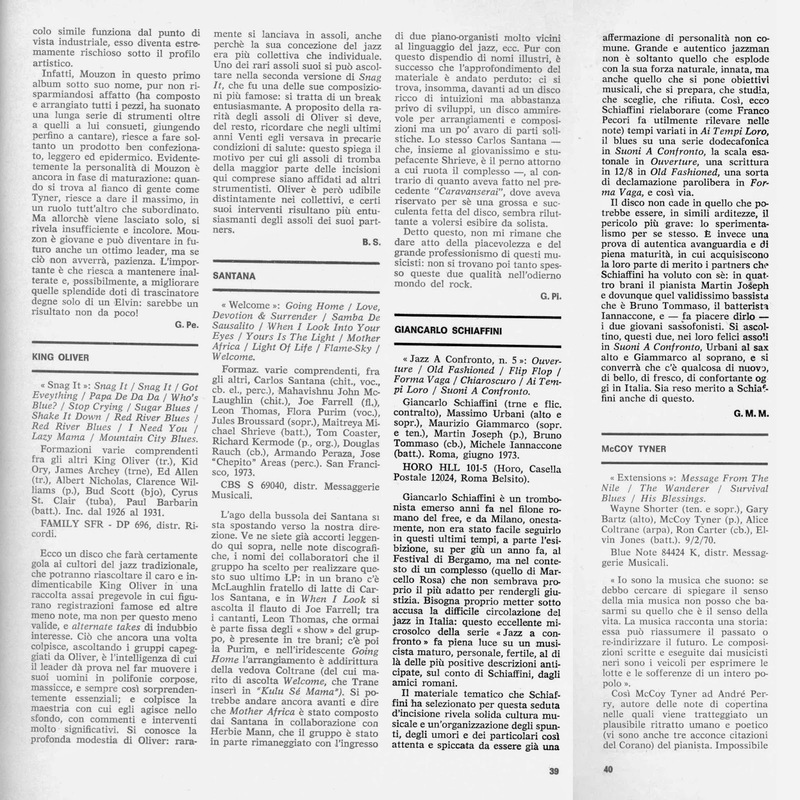 In 1975 he founded the Gruppo Romano di Ottoni performing Renaissance and Contemporary music. He is member of the well known Italian Instabile Orchestra. At present he teaches at the Conservatorio “A. Casella” in l’Aquila and at the Summer Courses of Siena Jazz. He teaches also Contemporary Music, Jazz and Improvisation in Clinics and Seminars all over the World (like New York University, Monash University Melbourne, Hochschule Freiburg i. B., Acanthes-Villeneuve d’Avignon, UNEAC-Cuba). He plays Contemporary Music, Jazz and Improvisation in concerts and International Festivals of Contemporary music and Jazz like Teatro alla Scala, Accademia di S. Cecilia, Biennale Musica di Venezia, Autunno Musicale di Como, Settembre Musica di Torino, IRCAM, Upic and Festival d’Automne (Paris), Reina Sofia (Madrid), Ars Musica (Bruxelles), Europa Jazz Festival du Mans, Jazz a Mulhouse, Tramway (Rouen), Wien Modern, Aspekte (Salzburg), Donaueschinger Musiktage, Moers, Tage fuer Neue Musik (Zurich), Gulbenkian Foundation (Lisbon), Alte Oper (Frankfurt), Berliner Philarmonie, Festival di Gibellina, FIMAV Victoriaville and New Music Concerts-Toronto (Canada), Nuova Consonanza, Bimhuis (Amsterdam), JazzYatra (India), Darmstadter Ferienkurse, Pomeriggi Musicali and Musica del nostro tempo di Milano, UNEAC (Cuba), Maggio Musicale Fiorentino, Lincoln Center and Hunter College (New York). In 2000 he has been Composer in residence for the International Composers & Improvisers Forum Munich. 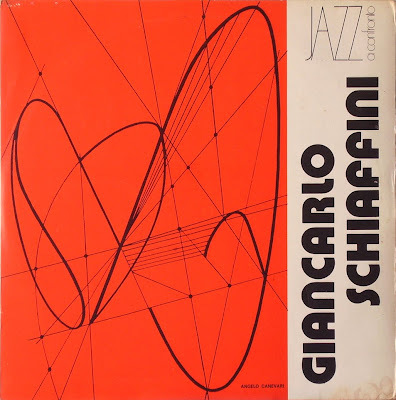 Mr. Schiaffini has collaborated with John Cage, Karole Armitage, Luigi Nono and Giacinto Scelsi in various performances and works for solo trombone or tuba have been dedicated to him by Scelsi, Nono, Amman, Alandia, Dashow, Villa-Rojo, Renosto, Laneri, Guaccero. He has performed for the National Radios in Austria, Canada, Holland, Germany, Mexico, Italy, Spain Sweden, France as well as having recorded for BMG, Curci, Cramps, Edipan, Horo, Pentaflowers, Pentaphon, Red Records, Ricordi, Vedette. His music has been published by BMG, Curci, Edipan, Ricordi. I'm not sure why it's taken a bit of time to get here, but thank you so much for your efforts. I've collected a few Horo LPs over the years, and so it's a real pleasure to be able to find out more. I do hope the promised CD re-issue happens.